John uses mindfulness or mindful self compassion (MSC) with CBT and offers group and one to one training classes in mindfulness and MSC. John uses a relaxed approach that gently guides you to your own answers within the context of mindfulness, CBT and compassion. John is also trained in and uses ACT. He is a highly skilled, relaxed and efficient therapist who uses a gentle humour alongside his therapy skills to bring about change. He now practices in Upwey and South Gippsland. One to one counselling, stress management, low-cost groups on meditation and mindfulness based stress reduction. Regular workshops on compassionate communication. Regular meditation classes occur. John uses a warm, person centred approach and humour. He beleives each person has their own answer and the skills to move successfully through life. He focuses on unleashing this knowledge in you. He focuses on mindfulness approaches in conjunction with cognitive therapy. He may also use a Buddhist approach with individuals who prefer this. John is a member of the Australian Association of Social Workers and has regular supervision. 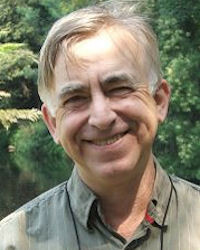 John has over 38 years experience as a counsellor and psychotherapist. He maintains an up-to-date knowledge and skill base. His recent training has included Acceptance and Commitment Therapy, Mindfulness-based Cognitive Therapy and Mindfulness-based Stress Reduction, the latter in a program directed by Jon Kabbat-Zin and Saki Santorelli. John has a personal meditation practice of long standing and teaches meditation. With the Medicare rebate, one to one counselling costs $10.20 for Health Card holders and up to $50 for fully employed people - a GP Referral and MHCP is needed. Private counselling (including by skype or zoom) fee is $120 per hour.